Mindrolling in India is renowned throughout the Dharma world today, both as the lineage and monastery dedicated completely to Dharma activities and as a main center for maintaining the precious secret Vajrayana doctrine. 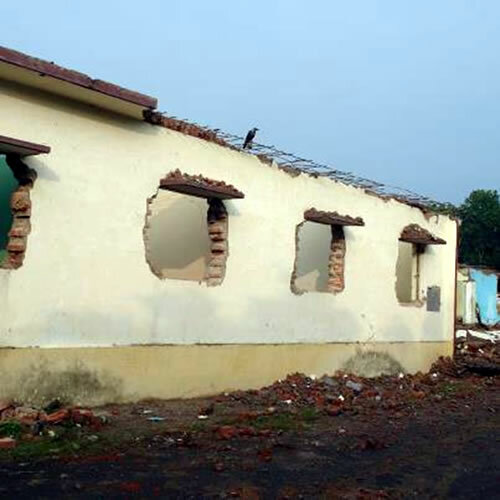 Unfortunately though the buildings, shrine rooms and libraries that contain the great treasures of Mindrolling—including precious and original teachings, thangkas and murals—as well as the housing for hundreds of monks who devote themselves entirely to the practice and study of dharma are crumbling. 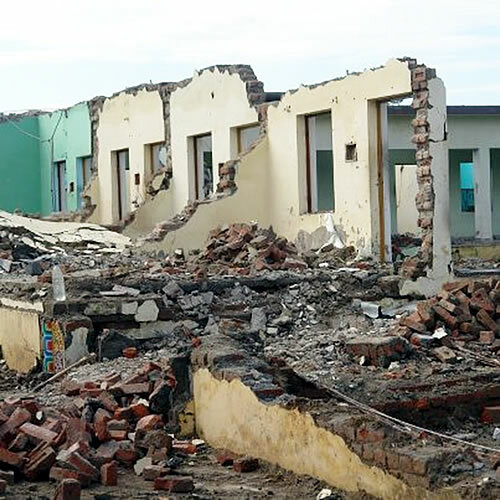 They have sustained damage from earthquakes and excessive rain over many years combined with the fact that the building materials available at the time were of poorer quality and funds and time were limited. 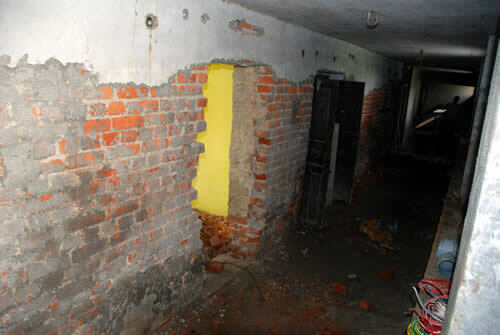 Through a concerted effort in fund raising, renovation and reconstructions throughout the monastery are being conducted. 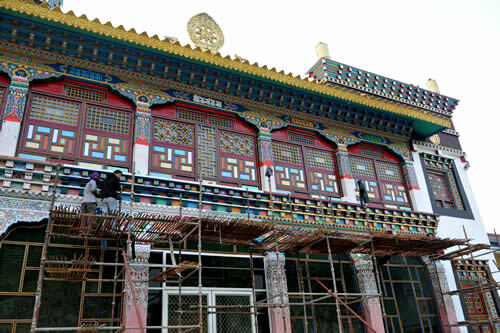 The renovation project includes a complete restoration of the front and back façade of the main monastery, repairs and renovation of all monks living quarters including putting in new doors, windows, reinstalling of all electrical systems, reconstruction of an effective septic and plumbing system, repairs of flooring in all buildings and creation of additional housing for an ever-increasing number of monks. 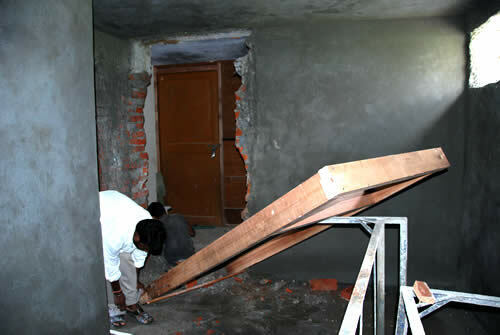 A great deal of work needs to be done to properly repair damage done by earthquakes.